Fox Martinez-Vidal Citizenship Award: The Award is granted by the Department of Spanish and Portuguese to a graduating senior who has majored in Spanish. 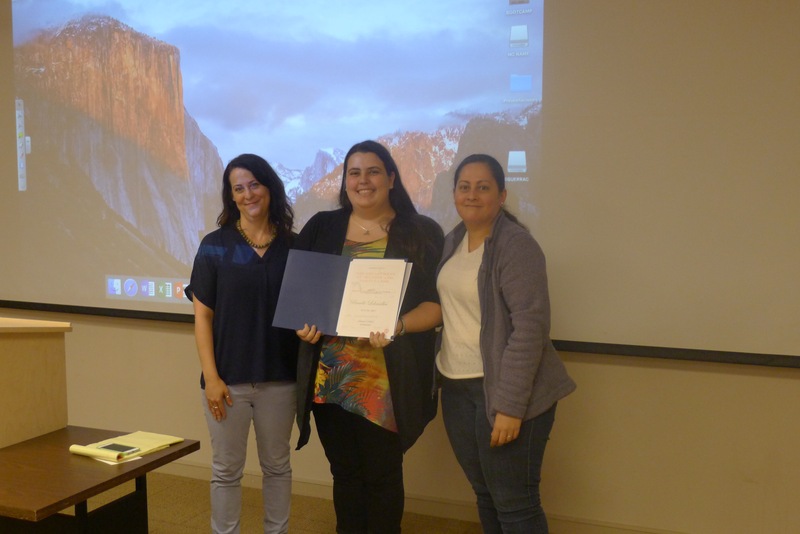 The award recognizes committed leadership in the Department of Spanish and Portuguese through active participation in Department events, activities, and initiatives. In order to be eligible, the student will have to be a member of Sigma Delta Pi. photo caption: Pamela Lohmuller, surrounded by Profs. Margaret Frohlich and Carolina Castellanos, as she receives the Fox Martinez-Vidal award for Citizenship.